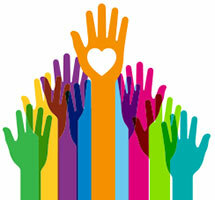 There are many volunteer opportunities at Carroll County Public Library. In library branches, volunteers play an important role in helping staff maintain the branch, assisting with collection maintenance, and with program development. At library headquarters, volunteers help with various clerical tasks. Students between the ages of 12 and 17 can help in a number of ways during the summer, and in a more limited number of ways during the school year. Recruitment for volunteers to help with the summer reading program takes place annually during the first two weeks of April. Service Learning Hours may be available for students who volunteer. Students are responsible for checking with their school to verify that their hours will qualify. There are also year-round teen volunteer opportunities available at all of our locations. The Library Link Service to Seniors program needs volunteers to visit and deliver library material to seniors at nursing homes, assisted living homes and adult day care centers. Specific opportunities may vary from branch to branch. Check with the branch where you are interested in volunteering to learn about volunteer opportunities.